The Douro Valley makes a dramatic first impression. 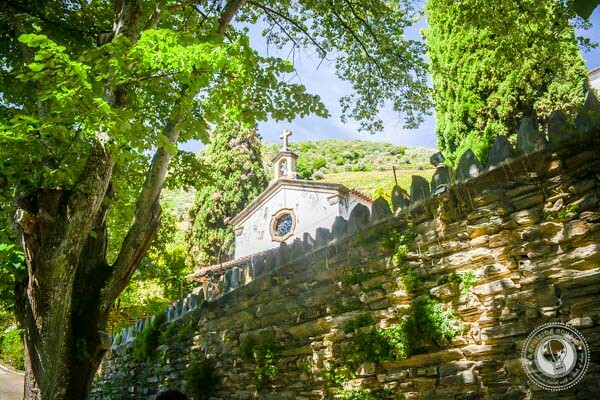 With its rolling green hills, a mighty river and lush vineyards and olive groves, it’s hard to imagine a better backdrop for sipping fine ports and table wines. 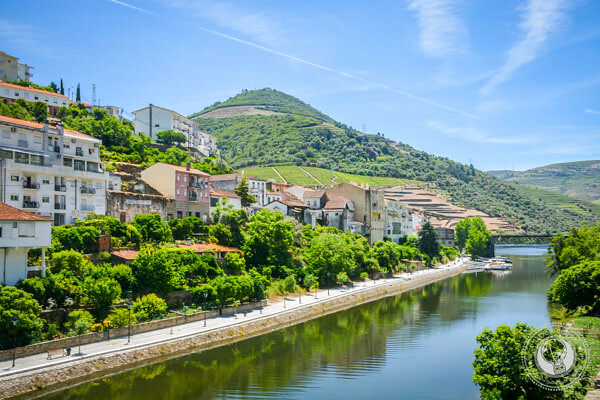 While the Douro Valley isn’t necessarily a secret, the destination doesn’t see nearly as many tourists as other famed wine regions such as Bordeaux or Napa. Drive just a few minutes outside of the main town of Pinhão, and you’ll encounter picturesque towns devoid of any tourists, seemingly pulled straight out of a storybook. Even with its sleepy charm, you won’t have any trouble discovering spectacular vistas, delectable cuisine and memorable wines—if you know where to go. 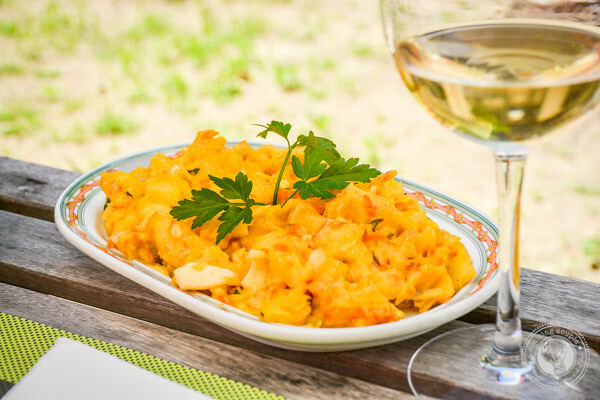 It’s no secret that we love wine and food tours. From Hong Kong to Paris to Boston, we’ve had quite a few incredible foodie experiences. 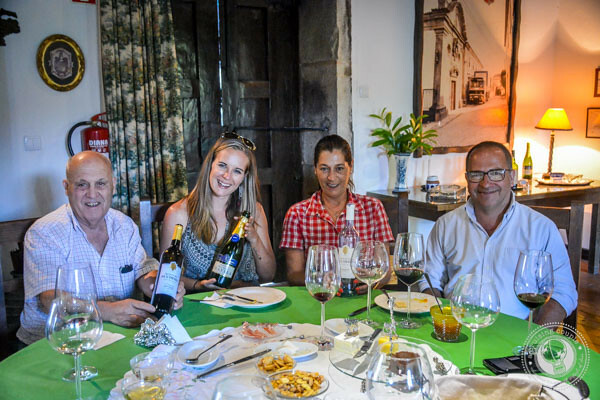 But of them all, our Wine and Olive Oil Tour with Jorge easily tops out as most memorable—for all the right reasons. The best wineries in the Douro Valley are spread out, and most require advanced reservations for a tasting. We wanted to discover top table wines, but we also wanted to do it in a way that would let us get to know the winemakers and ideally find undiscovered wines from small but passionate producers. Jorge Barefoot Wine & Tours was the perfect solution. 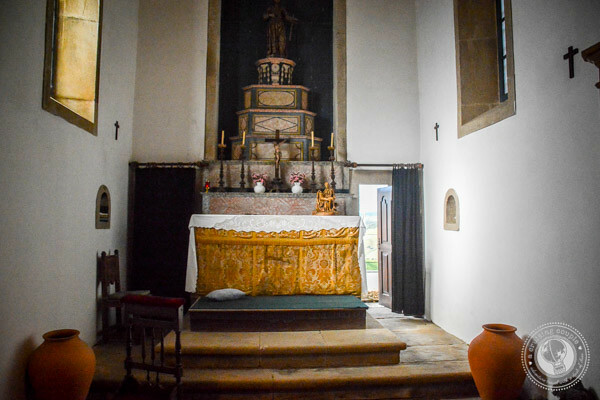 We set up a private, full-day tour, meeting from our apartment in Provezende, then set out on what would be the highlight of Portuguese adventure. 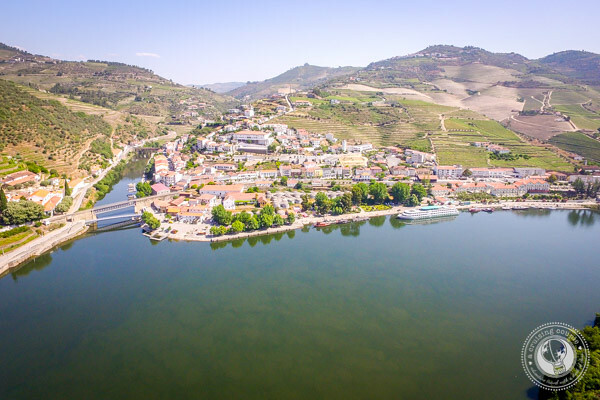 While vines have been growing in the Douro Valley since antiquity, it wasn’t until the 17th century that the Douro Valley became famed for what we now call Port. Due to some politics we won’t go into, the English had prohibited the importation of French wines. Of course, the British needed a new supplier to meet their drinking needs. 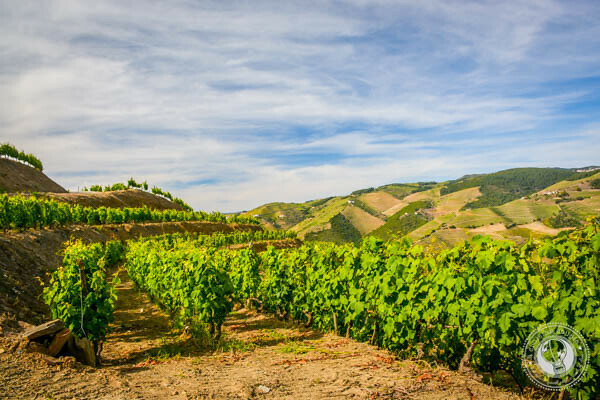 A close alliance between England and Portugal along with favorable weather and soil conditions made the Douro Valley an ideal solution. 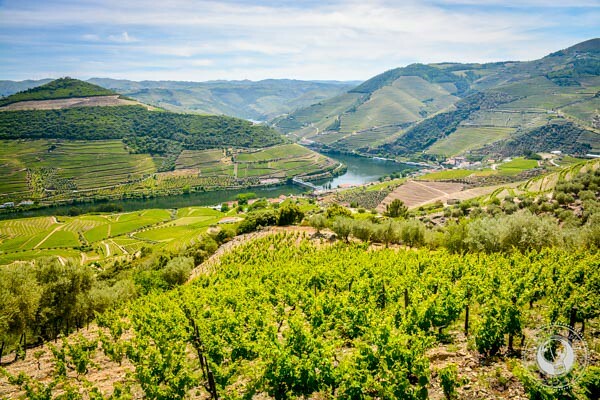 While many associate the Douro Valley with its sweet, fortified wines (what we now call Port), there are also many delicious red, white, rose and sparkling wines to discover. 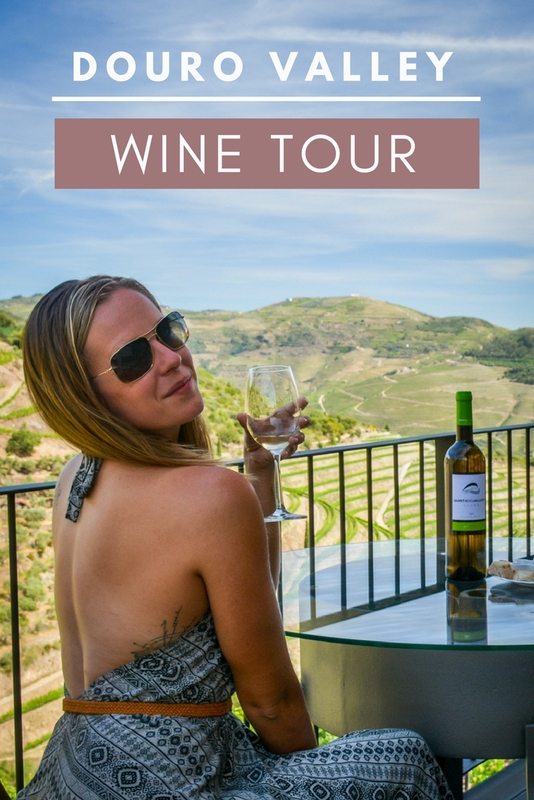 As we typically prefer dry wines to sweet, our tour of the Douro Valley focused on table wines, olive oil and, of course, food. 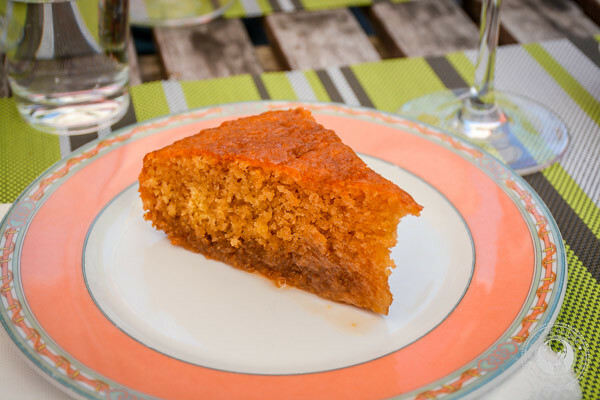 Now, let’s dive into the delicious part: all the amazing places Jorge took us on our tour! The first stop on our wine and olive oil tour was the chic Quinta do Foz Winery. 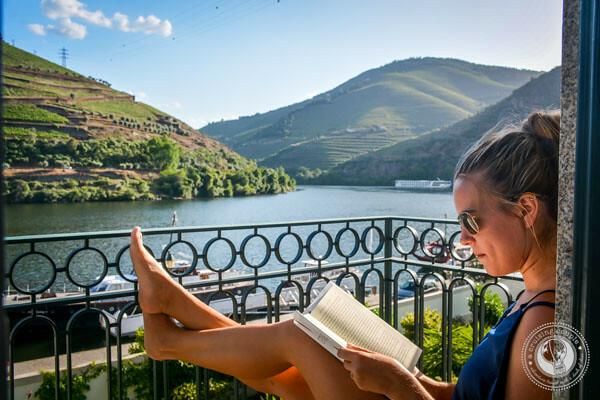 Its idyllic location on the junction of the Pinhão and Douro Rivers makes it an ideal spot to enjoy the surrounding views while tasting wines or taking leisurely hikes through the extensive gardens. After the tour, it was time to begin the tasting! We sampled four wines: a blend of indigenous whites, a blend of reds, a reserve and a tawny port. The reserve was the highlight, with notes of vanilla and black pepper. 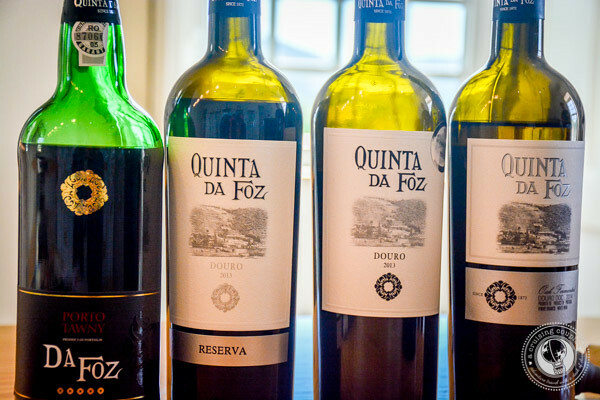 What we loved most about Quinta do Foz was that our guide took the time to help us explore how to taste the subtle flavors and characteristics of the different wines, while also explaining with what food each wine would typically best pair. 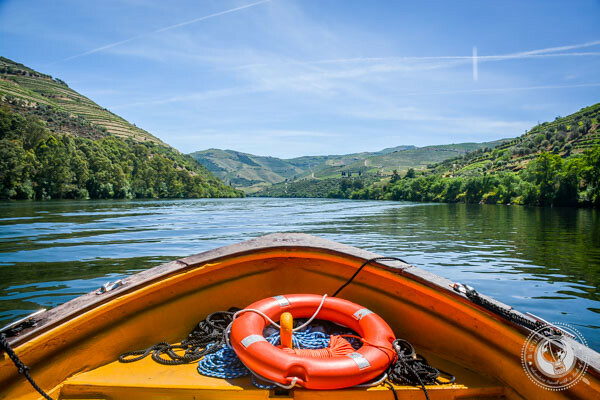 To get a better sense of the Douro Valley (and simply revel in the dramatic scenery) it was now time to take a leisurely boat ride down the Douro River. Jorge was our captain, sharing fascinating tidbits about the history of wine and olive trees in the region. 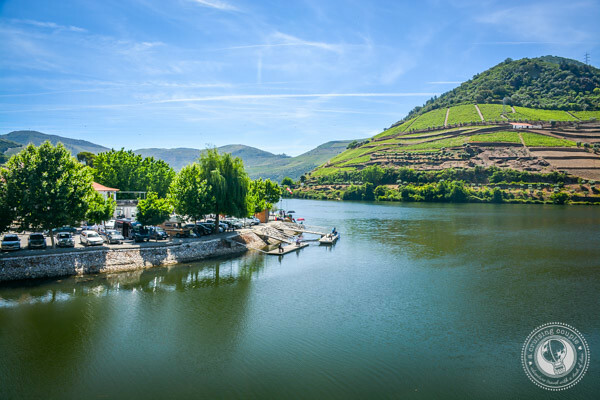 A boat ride down the Douro is one of the best ways to truly appreciate the landscape and the challenge of cultivating vineyards on mind-boggling steep hills. Many boating companies offer tours jam-packed with tourists and cameras, but a private tour on a traditional boat is by far the most romantic and enjoyable way to experience the region. While most associate the Douro Valley with wines, the region also produces exceptional olive oils. The majority of producers now use modern, stainless steel cold-press machines (which produce healthier, higher quality oils.) 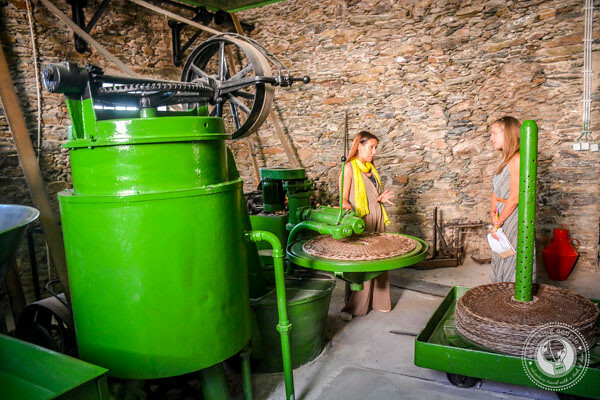 But it is still fascinating to see the original, time-intensive process used for pressing olive oil. 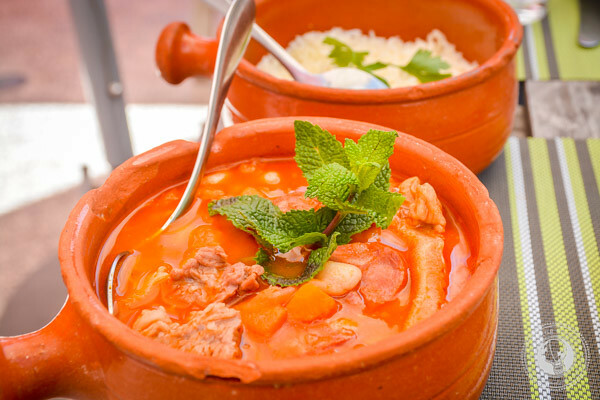 At the small, family run business of D’Origem, you can do just that. 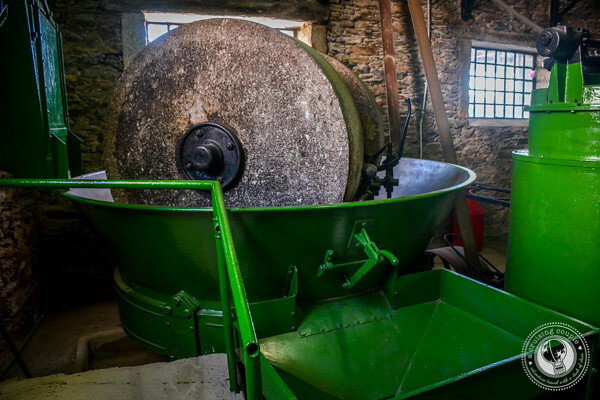 Traditionally, after harvesting the olives by hand, they are then crushed for 30-40 minutes to create a paste. Hot water is added to the paste for 30-45 minutes to heat the mixture, then spread around woven rugs. 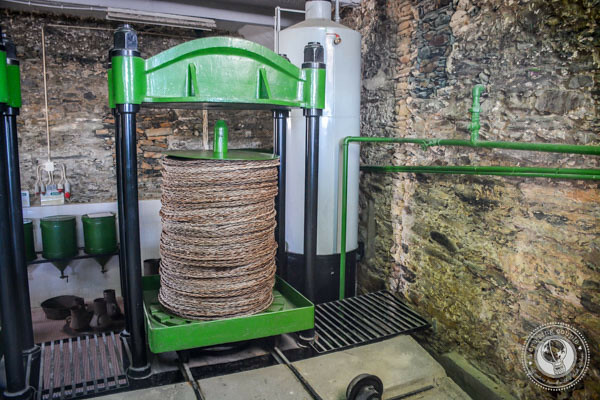 A machine transports the rugs to a press, and there you have it: olive oil! As always, the best part of the tour is tasting the products! 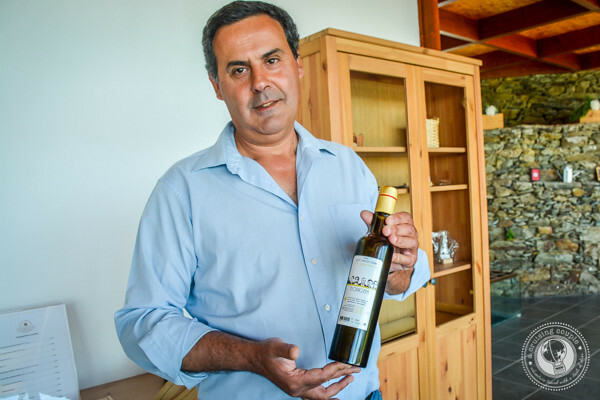 In addition to the olive oils, there are also locally produced wines and honey to indulge in. 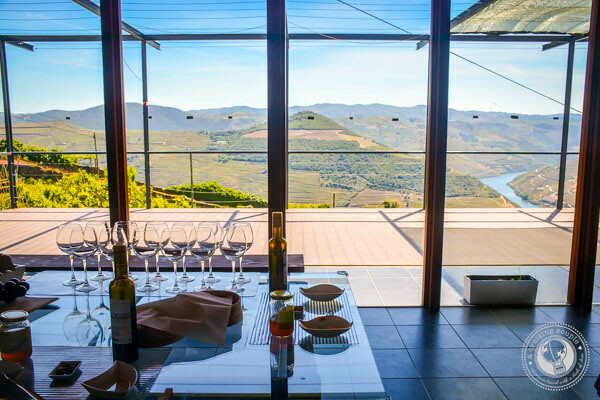 The modern tasting room is gorgeous, with spectacular vistas of the Douro Valley. The next stop on our tour was another small, family run winery called Quinta do Jalloto. 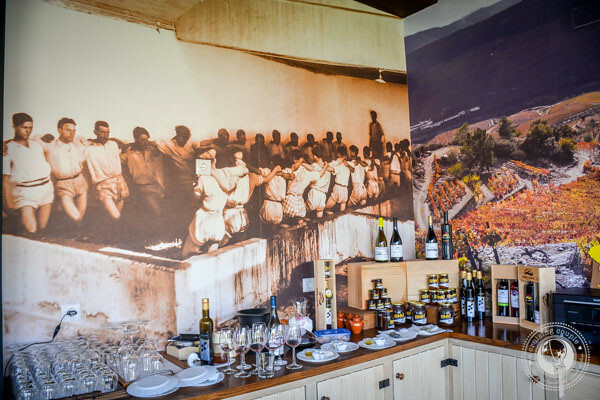 While the specific name brand was only founded in 2007, the family has been producing wines in the Douro for nearly a century. 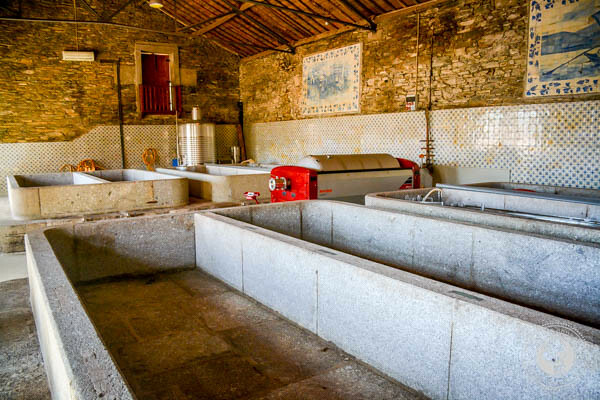 Quinta do Jalloto has a small production of around 10,000 bottles a year. Local workers harvest the grapes by hand, many from vines of a hundred years old. They also follow the traditional foot-stomping method for pressing the grapes. 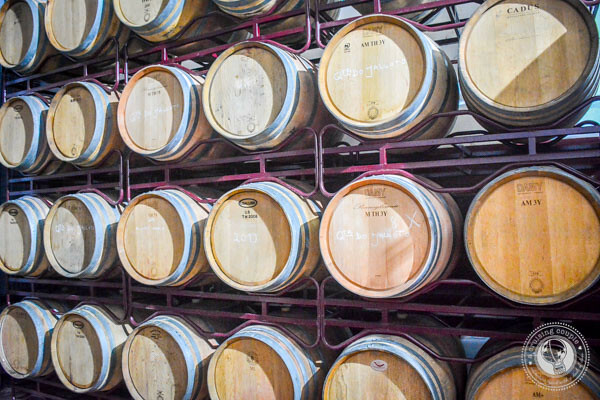 Most of the wines are then aged in oak barrels before bottling. 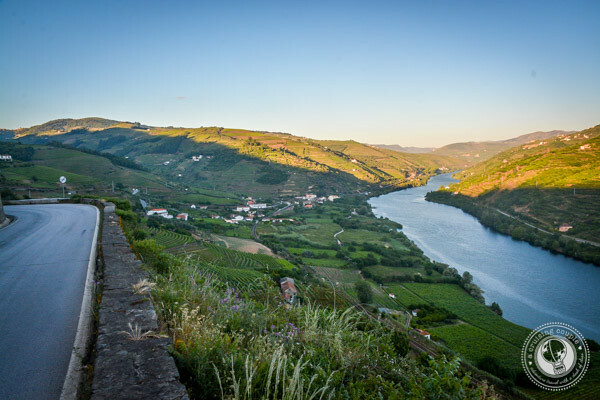 A visit to Quinta do Jalloto is worth it for the view alone. 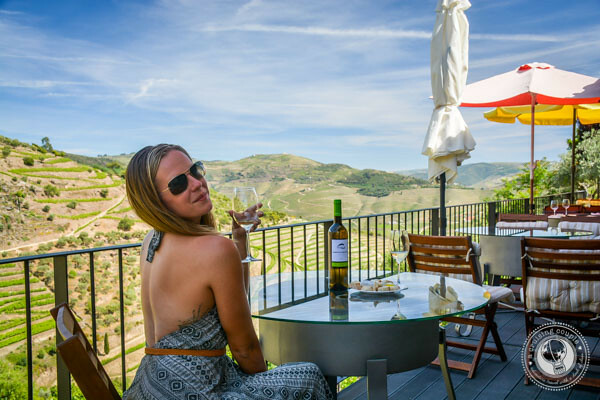 We think the terrace at Jalloto offers the best views in the Douro Valley, with 180-degree views of the valley and vineyards. But the true highlight was getting to meet the town’s local mayor, who also happens to be the winemaker at Quinta do Jalloto. He gifted us with a bottle of Grand Reserve, which we will undoubtedly be saving for a special occasion. The final stop on our amazing Douro Valley wine tour turned out to be the highlight of the entire day: Quinta do Bucheiro. 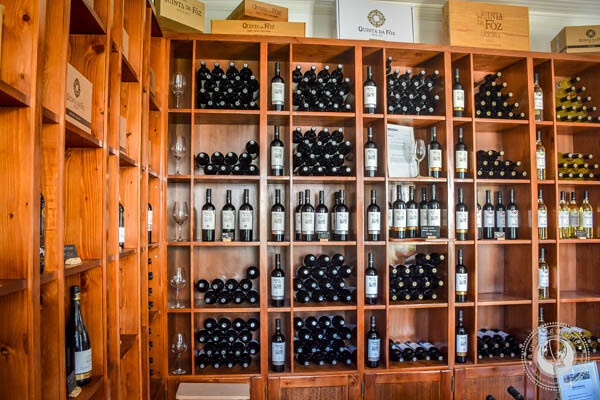 This historic winery was founded over 250 years ago and continues to operate as a small, private family operated business. 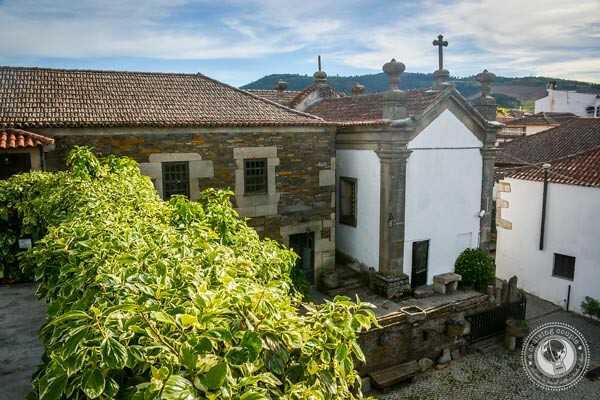 The winery is located in a magnificent home dating back to 1751. 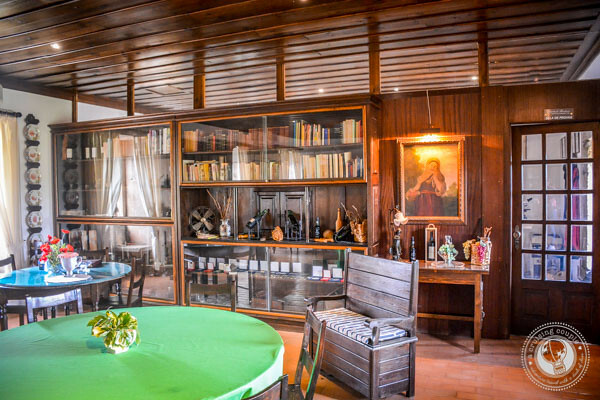 A tour through the home with the family patriarch reveals antiques and treasures from the Douro throughout the centuries. 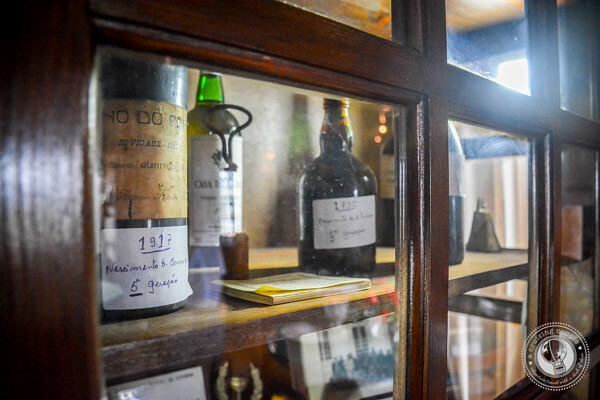 This small museum adds a certain touch of magic to the culture of wine making in the Douro. 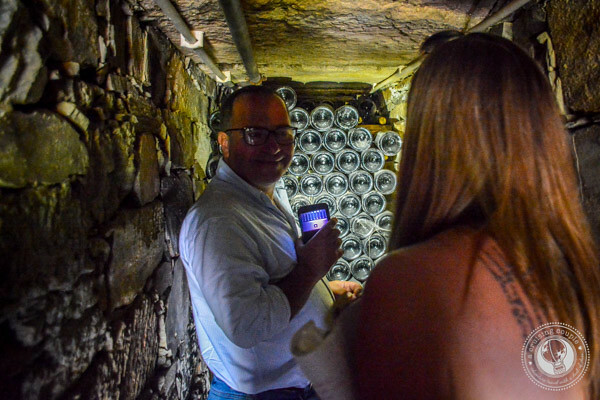 In addition to touring the home, be sure to explore the dark tunnels beneath the house which are used as a natural refrigerator for the sparkling wine process! Once mining tunnels, today they function as a unique cellar for bubbly. Sitting around the table, drinking wine and eating cheese, pumpkin jam and cured meats with the Bucheiro family, we couldn’t help but feel like we were invited into a family member’s home for an extended aperitivo. Our tour went far past the designated “end time” because we were having such a fantastic afternoon getting to know the Bucheiro family. As we moved from sparkling to white to red, our glasses were continually topped off. No set sample sizes, no ticking clocks, just a long afternoon filled with laughter and real conversation. It’s memories like these that make travel so special—and one we will not soon forget. Of course, we cannot recommend Jorge Barefoot Wine & Tours enough. 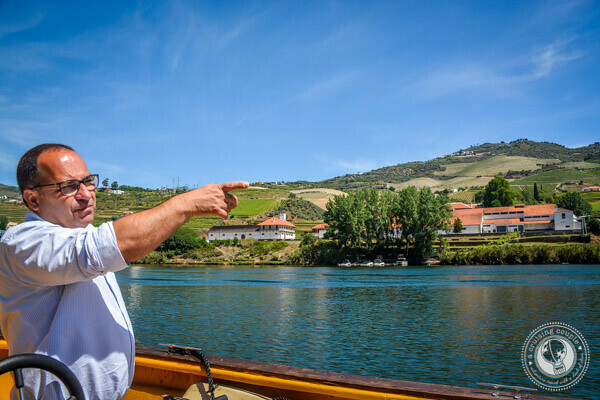 What truly sets Jorge’s tours apart from the rest is that he has carefully curated a day that combines the best flavors of the Douro Valley with the most hospitable, interesting wine and olive oil makers who are together transforming the quality and caliber of Douro Valley products. 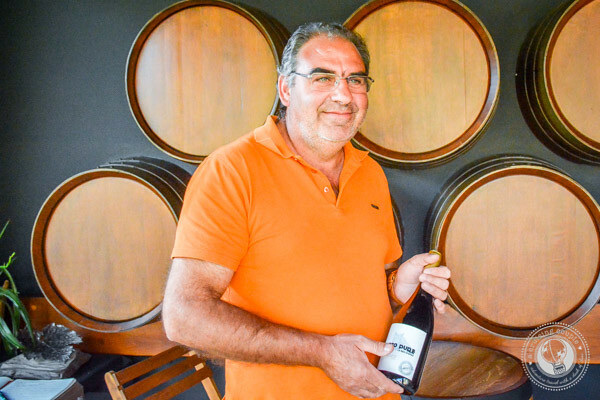 In addition to thoughtfully choosing stops that add to the interesting food and wine narrative of the Douro, Jorge is a wealth of knowledge about all things pertaining to the region. On each stop of the tour, you’re made to feel like family. Not once did we feel rushed. 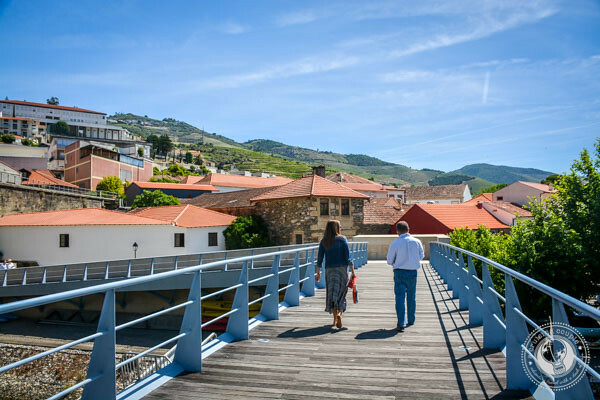 We left with a much larger appreciation for area’s history and current development occurring in the Douro. If you want to be conveniently located within walking distance of a few wineries, restaurants or the train station, then you’ll want to stay in central Pinhao. There are a handful of small hotels and guesthouses, but for a truly memorable experience, we recommend The Vintage House. 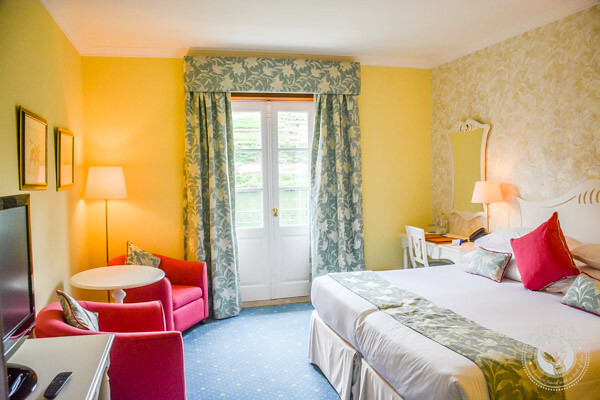 Each room at this spectacular five-star boutique hotel has a quiet terrace with unparalleled views of the Douro River. Read our full review of The Vintage House here! 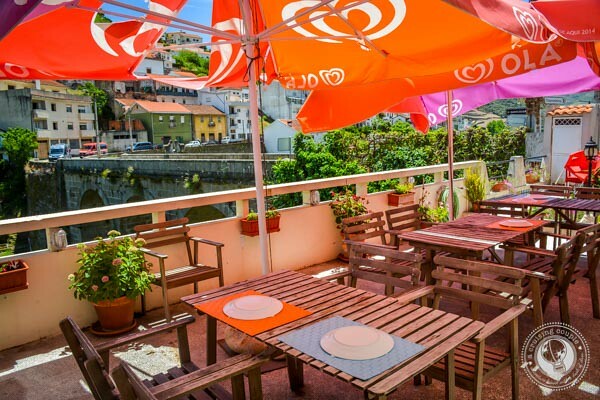 We also stayed in a lovely apartment in the historic town of Provezende, which we highly recommend for those looking for a quiet getaway in an untouched location. We were particularly moved when the Portuguese neighbors cut fresh flowers from their garden for our anniversary, all the while giggling and shouting “parabens!” You’ll also find the famed restaurant “Papas Zaide” here, but do know you will need a reservation at this small family establishment. We booked our apartment in Provezende through AirBnb. 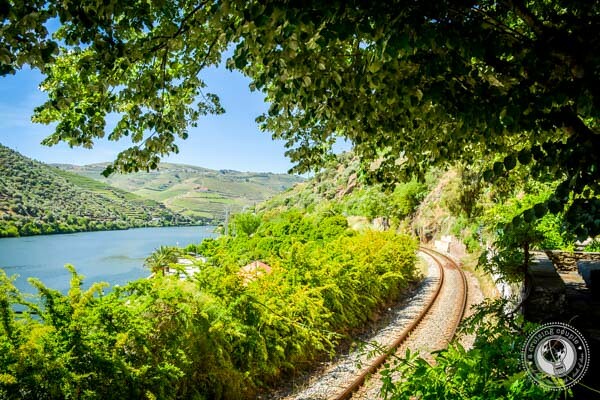 The train from Porto through the Douro is famed for its scenic route alongside the river. However, since we were on our Portuguese road trip with EconomyBookings, of course we opted to drive. The scenic drive from Porto to Pinhao takes about four hours. This was easily the most gorgeous section of our entire road trip, and highly recommended. If you plan on doing wine tastings, of course you’ll want to arrange transportation. As you can see from above, we highly, highly recommend Jorge’s Wine and Olive Oil Tours and hope to one day return! 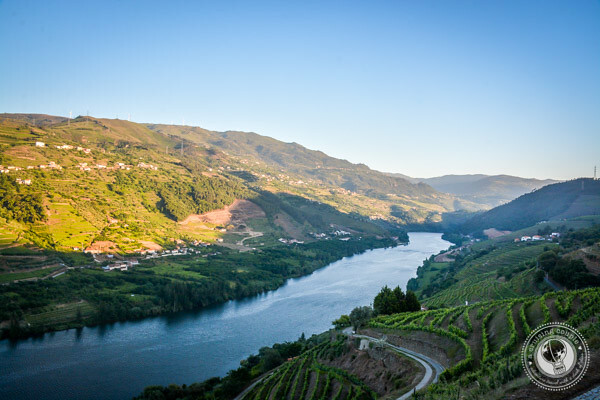 For more on the history of the Douro Valley, Jorge has excellent articles and blog posts. We recommend starting with this one. A huge thank you to Jorge for inviting us on this tour. All thoughts and opinions are our own. It is certain that Duoro Valley produces great wines which are worth drinking. :) Thank you for sharing.